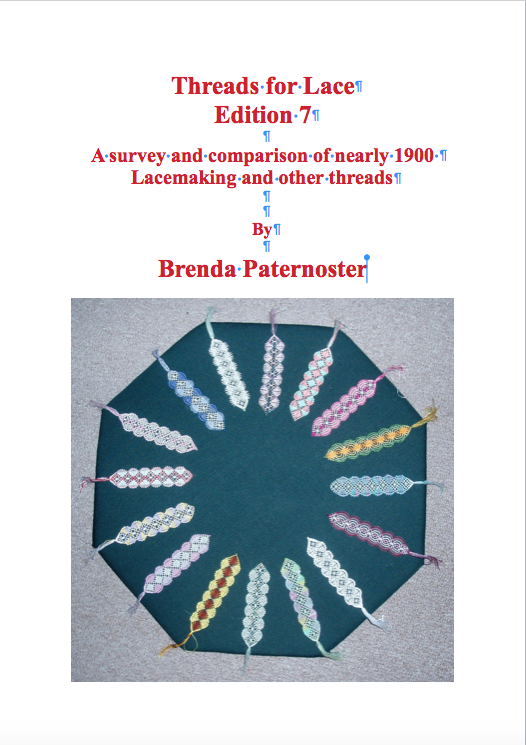 This is a comprehensive survey of as many different threads as I have been able to obtain. The threads are listed in groups under fibre type and then alphabetically by manufacturer. This is followed by comparisons of thread thicknesses based on wraps/cm. a total of almost 1,900 threads. UK traders who will accept the plastic of your choice. Please include your email address with order, I will acknowledge receipt/despatch. The price for six or more copies is £7.75 each plus postage. 36 or more copies, £7.50 each plus postage. The weight of each book is about 265gms, plus packaging. For courier delivery (see below) 36 books with packing is just under 10Kg. Post and Packing for up to 7 books to UK: 1st class £5-50, 2nd class £2-90. I use Royal Mail for posting books. which is what all the courier 'services' seem to expect. However if you have an account with MyHermes I will take parcels to the local pick-up point. Please contact me. Other couriers by arrangement, and only if they will collect during the morning. For UK customers GBP cheque or electronic transfer preferred. I am aware that international bank transfers can be very expensive. I am still maintaining the Addendum lists. Addenda 1, 2, 3, 4, 5 and 6 are complete. Addendum 7 is ongoing. To have a complete list of all threads you need the Addendum list of the same number as your copy Edition plus all earlier Addenda. I would be delighted to recieve a small sample - a metre or so is plenty. and is limited to contact details only; postal address, email, telephone. I also hold my records of invoices issued and payments received.